Premier Stainless provides systems and solutions to fit your unique needs. We will work to ensure all components of the equipment are tailored to meet your specifications regarding space, available utilities, and brewing requirements. This includes new breweries and/or tank expansions. 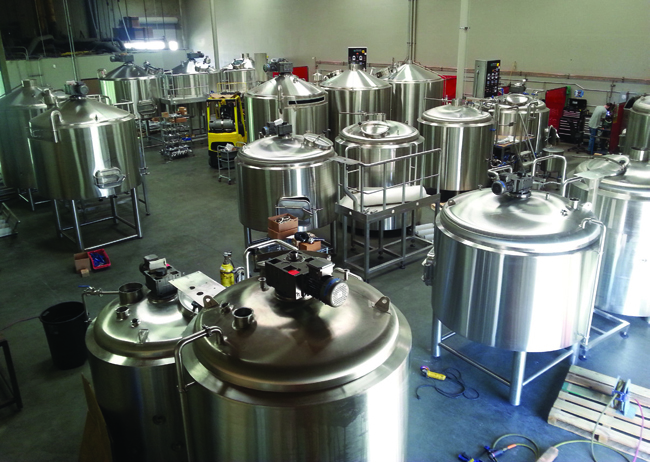 Our expert staff will assist with the assembly of your brew house on site, and consult on the placement of related equipment. We will ensure that all questions and concerns are addressed during the setup of your new equipment. After setup of the Premier brewing system, during your initial production run, one of our experienced brewers will be onsite at your facility to guide you step by step. Premier Stainless provides follow-up support on all of our equipment as well as answering questions about your process on our systems. You can log onto our website for information, or call us anytime. We welcome your questions and feedback.